Slots Magic Casino (formerly Jackpot Party) is a multi-software online casino that features a big range of slot machines including exclusive titles from WMS Gaming. New players at Slots Magic can claim a total of $2,500 worth of bonuses. 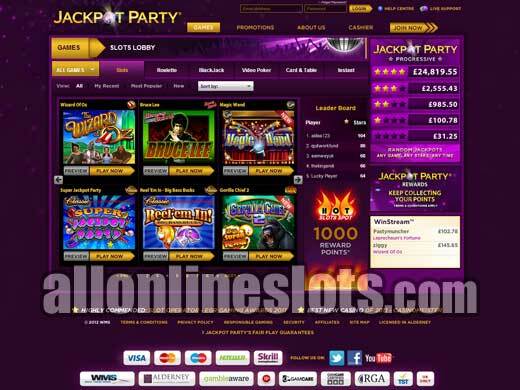 Ever since All Online Slots was launched in late 2000 we have received a steady stream of e-mails from players looking to play WMS Gaming's Jackpot Party slot online. Up until now there was no where to play an official version of the game although there have been similar games online for quite some time outlined in our Where to Play Jackpot Party article. 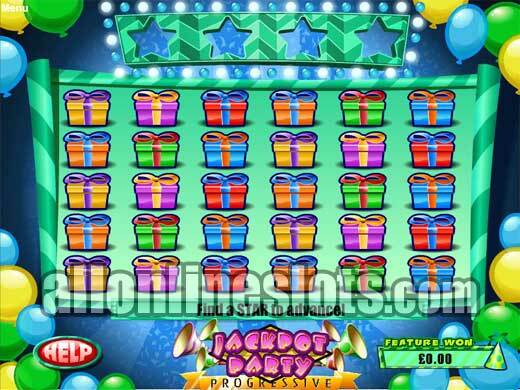 We are happy to say that you can now finally play the official version of Jackpot Party at Slots Magic Casino. The only catch is that no players from the USA and other a lot of countries where WMS slots are popular cannot play at the casino. 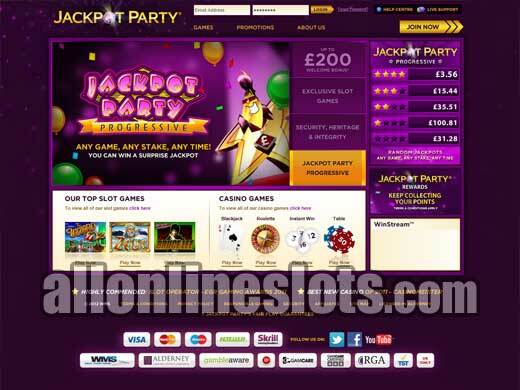 Of course Slots Magic Casino offers a lot more than just the very popular Jackpot Party slots. 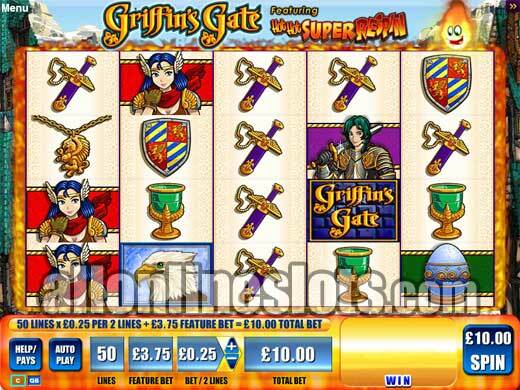 They feature a range of just over 100 different slot and about 40 other games. While the casino does have table games and video poker the casino is, as you would expect more focused on slot machines. WMS have been manufacturing slot machines since 1943 which gives them a huge library of games to choose from. The fact that the online casino has the same games that you would find at land-based casinos is a big positive. 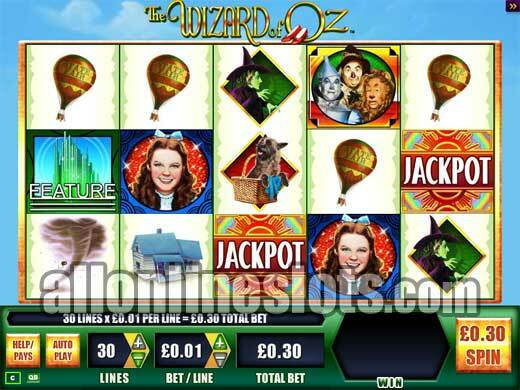 Some of the popular titles that the online casino has released so far include - Super Jackpot Party, The Wizard of Oz, Star Trek, Zeus, Reel Em In, I Love Lucy, All That Glitters 2, Gusher and Griffins Gate. New games are being added quite regularly so we are sure to see even more popular Las Vegas slot coming online in the near future. As a new player at Slots Magic Casino you can claim up to £2500 of bonuses when you join. As well as the opening offer the casino has daily and weekly promotions as well as a VIP rewards program that offers a range of promotions from triple points to exclusive offers.